Now, like many naturalistas, wash day is often this long dreaded part of the week, and as it grows, the task sometimes becomes even more arduous. Thankfully, after years in the natural game, I've mastered my wash day down to a science. The process begins by sectioning my hair and applying loose medium sized twists. Then, keeping my hair in twists, in the shower I unravel just one section and begin cleansing. Left alone, my hair in its natural state tends to be dry, thick, and afro textured (minus a few looser curls at the nape of the neck). To combat this, I co-wash weekly (meaning I cleanse my hair primarily with a moisture rich conditioner), and only apply actual shampoo monthly (usually once at the beginning or end of the month). 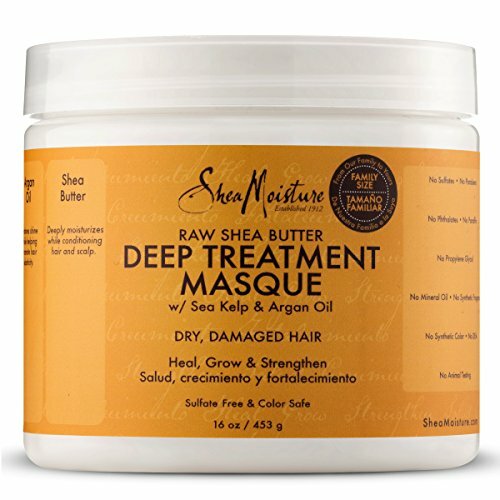 My holy grail conditioner for years has been and continues to be from Shea Moisture. While the composition of a few of their collections have been said to have changed over the years, this hands down is still an all time fave my hair absolutely loves. In recent years on my hair journey, I’ve begun to explore new products as ingredients in past loves change or items become out of stock. 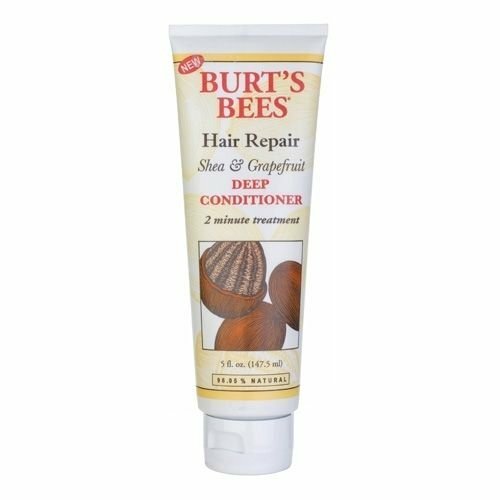 One of the best and most natural conditioners and pre-poo hair treatments I’ve found has come from Burt’s Bees. Now while this brand isn’t as popular in African-American haircare circles, let me tell you, the amount of moisture, hydration, bounce, and shine I get from my hair when using these products wonderful. Plus? Burt's Bees products are over 93% natural which is a double win for me, as my hair and scalp are super sensitive to chemicals due to eczema. The only drawback is the container size. 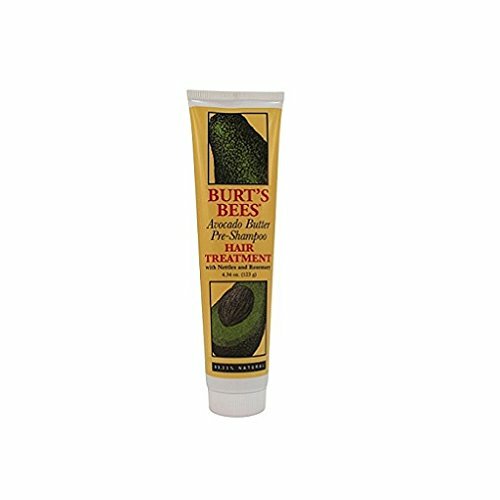 It tends to run a bit on the smaller size and my hair drinks this yummy goodness right up! Still, it’s slowly replacing my holy grail and definitely worth a look. Not only does it keep my hair moist, but again, their moisture rich properties and nearly 100% natural ingredients keep my hair from drying out and becoming brittle after a thorough washing. Notice the moisturizing trend in my routine? As refresher, I've mentioned a few of my hair handling tips in a previous post, which can be found here - 6 Tips for Starting Your Natural Hair Journey. In short, whenever I handle my hair, I always use my fingers to detangle my strands … Constantly smoothing my hair in a downward motion to keep the hair shaft closed and to encourage the hair to remain streatched. Today? I use combs only if my hair become tangled or matted (usually when I get lazy, lol) or if I find a stubborn knot. Without the constant pulling of combs on my strands, I've been able to retain much more of my length. With a bit of patience, I’ve now reached nearly hip-length hair (grazing 20 inches at the longest points). Below is a quick video checking on my hair’s progress and prepping for wash day after waring it out in a stretched state for the week. I truly hope this inspires someone! Thanks for watching! If you ANY questions for me on my hair journey or the products I use (and why), feel free to connect with me on Instagram and send me a DM. Remember, hair growth is a process and health hair should always be top priority or length goals. As always … The Journey Continues!